A confidential ministry for Members and Friends of Liberty Presbyterian Church and within our local community of Delaware County, which provides financial assistance for those in immediate and critical need. There are several “pickle jars” mounted on the walls in the Barn sanctuary, the Barn entrance area, and the Barn lower level. 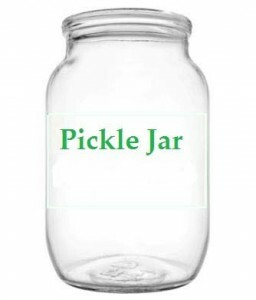 Every Sunday, we encourage people to take advantage of the Pickle Jars as they pass by them on their way out, that God’s generosity might be expressed through their generosity. If you would like financial assistance and live in Delaware County, please call 740-548-6075.